A 23-year-old female was killed after being struck by a vehicle at King Street and Willis Way around 5:37 p.m. Thursday evening. According to Waterloo Regional Police Services (WRPS) sergeant Scott Richardson, the victim was a student of one of Waterloo’s universities, however he could not specify which school. Richardson said the victim was hit by a silver Volvo station wagon, heading southbound on King Street, towards Kitchener. 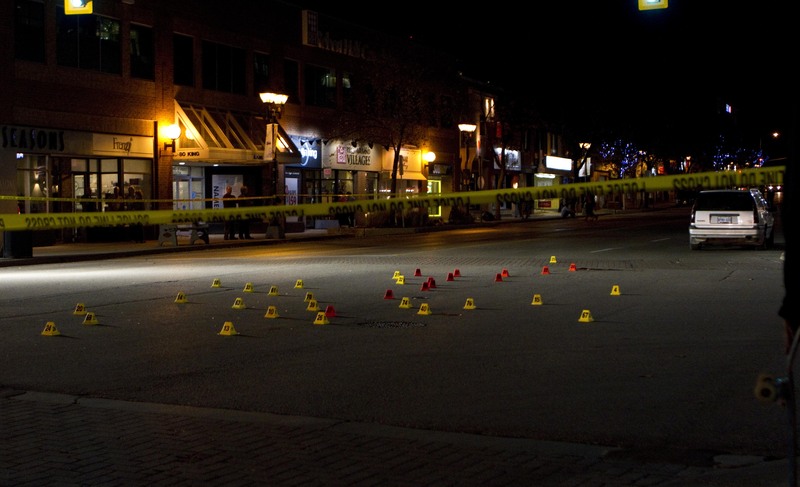 The victim was attempting to cross, within the crosswalk, from the west side of the street, leaving the Waterloo Public Square, heading towards the Royal Bank at the corner of King Street and Willis Way. Paramedics attempted to revive the victim before she was transported to Grand River Hospital where she was pronounced deceased at 6:41 p.m.
As the investigation is still underway, Richardson was unable to confirm whether the driver ran a red light or the victim was crossing against the lights. 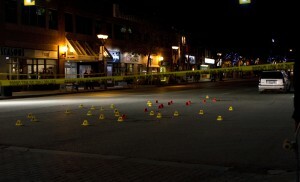 The driver of the vehicle was a male, whom Richardson believed was a resident of Waterloo Region. The driver was traveling alone and sustained no injuries in the accident. Richardson was unable to release many details, as police are still in the process of notifying the victim’s parents, whom the WRPS believes are currently in Europe. “We’re making strides to notify a police service in Europe to [notify the victim’s parents],” said Richardson. While the details of the accident are still being verified, Richardson said that the high volume of traffic in Uptown Waterloo at that time of day could have played a role. According to Richardson, the busyness of the area also meant there were plenty of witnesses, and while the investigation is still ongoing, based on witness statements at this point, it appears unlikely the driver will face charges. In addition to witness statements, Richardson said there is also the possibility that the camera on a Grand River Transit bus — which was parked at the Uptown Waterloo bus stop at the time of the accident — may captured the collision on video. Police are encouraging any witnesses that did not issue statements following the accident to get in touch with the WRPS Traffic Services Branch at (519) 650-8500.